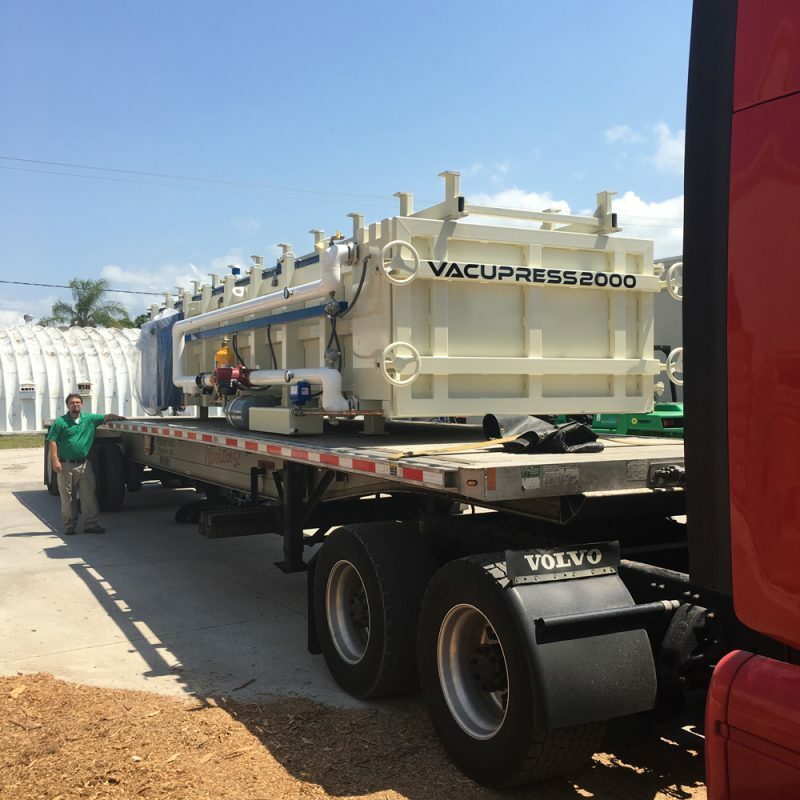 Our Amazing Vacupress 2000 arrived in Sarasota, FL earlier this week. This will be our 2nd vacuum kiln and the larger of the two. Vacuum drying is a very laborious process when compared to traditional forms of kiln but it delivers the straightest and most stable boards in the end. The process that vacuum drying goes through allows the wood to be dried without much oxygen and thus not affecting the colors of the woods. We’ll be having this Vacupress up and running very soon and drying slabs faster to get them to you. This entry was posted in News, Wood Slabs and tagged Kiln Drying, kiln slabs, vacuum kiln on May 6, 2016 by Mr. Ipe Hardwood.